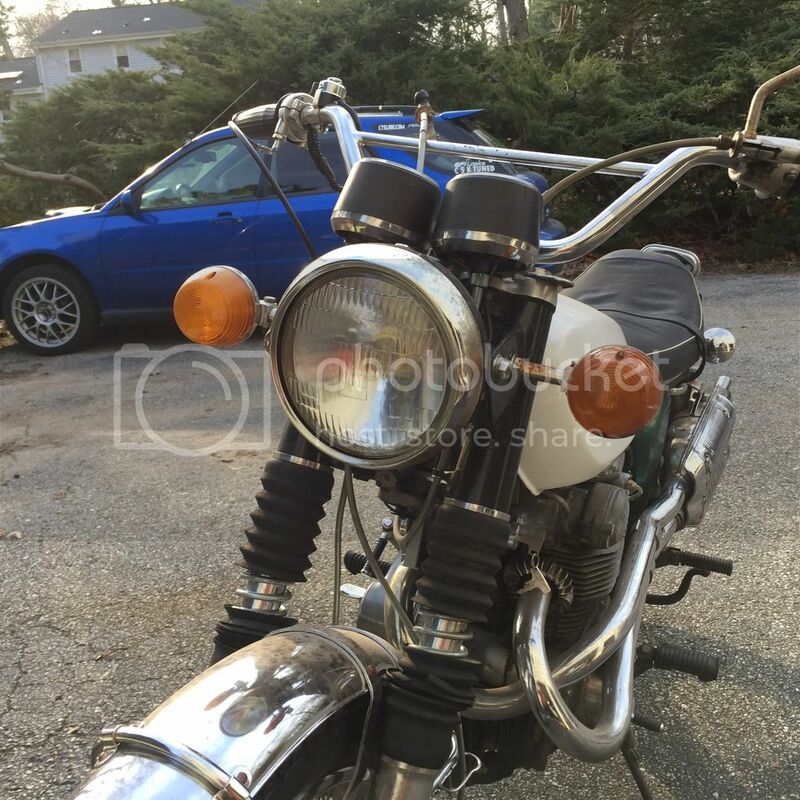 I received my next bike to restore yesterday. 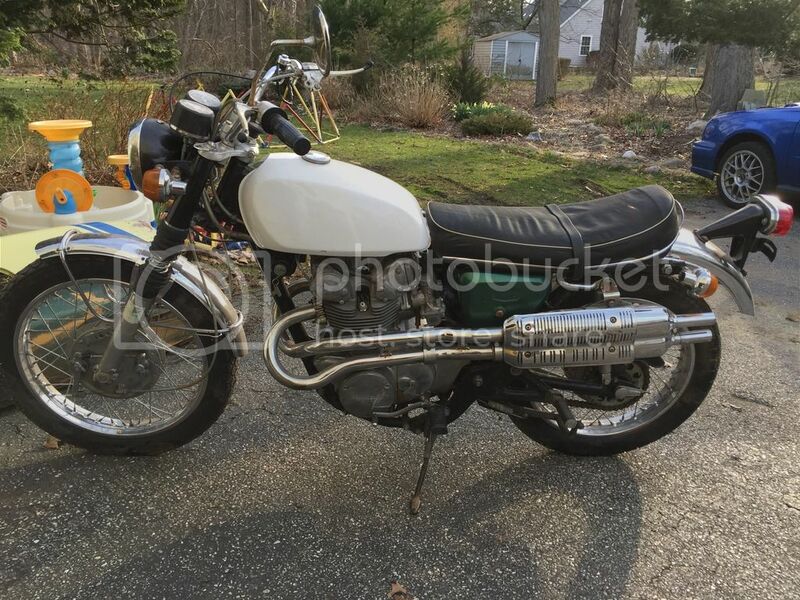 It a 1968 Honda CL450 scrambler. I remember the Honda Scrambler series from the 1960s. They were tough machines, altho the "street" accessories were pretty easy to break off in the wild. I know of a vintage bike shop in Middletown if you need parts. Looks like you're maybe missing some ignition stuff, which is a breeZe to replace. Another interesting project! 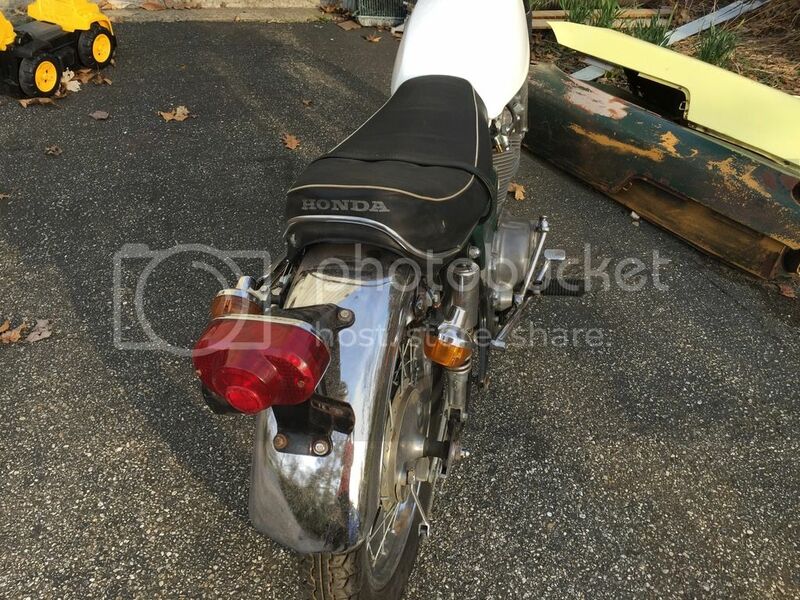 The Honda dual-sport bikes used "Snuff-Or-Not" twisty baffles in their straight exhaust pipes. Twisted one way they were street legal, twisted the other way they made open-pipes for competition. They resembled a coin in the exhaust pipe (like a carburetor throttle plate) which had a small hole in the middle of it, which made the noise street tolerable. Twisting the thumb screw outside the pipe opened the "coin" disc to make no resistance (or baffling) to the exhaust. They were very popular in the mid-'60s and would be an exciting period-correct replacement for your mufflers. Good luck finding one today, tho. The baffles themselves appear at the 02:04 point in the video. My 305 Yamaha used to eat the CL305 and CL450 Hondas for lunch, but just watching these kids ride with no gear makes me queasy about how foolish we were back in The Day. How did we ever survive the '50s and '60s? Nice bike Rich. It brings back fond memories for me. My buddy in high school got a used scrambler which I got to ride on occasion. One Saturday morning a few of our "gang" had gathered behind our high school in Levittown NY, where my buddy had brought his Honda. One of our other buds asked if he could try out the bike and the owner buddy said "Sure, go ahead". After an extensive 15 second instruction session from the owner , this guy gets on the bike, revs the engine and bolts off right into the baseball field backstop! No major harm done to either body or bike, but we must have laughed hysterically for an hour after. British and Japanese bikes had the brake and shift levers on opposite sides. You could be an experienced rider on one, but crash on the other. Baseball field: We played "Bike Baseball" on the local school's diamond, essentially just racing each other around the baseline. 5 or 6 bikes sliding around at 20mph will tear a ball diamond up pretty quickly. Local cops on Harleys raced out onto the field and chased us all down a dirt trail thru the woods. They drew alongside each rider from the rear and kicked us off the trail, down a wooded embankment. They never even came back to check on us. Summer, 1965.